Introducing...... Little Mr Happy.....! 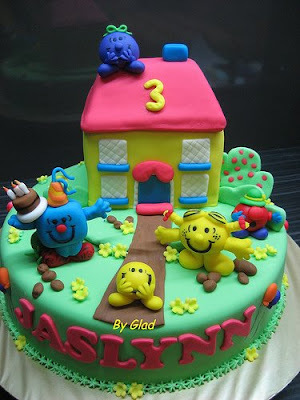 Here's the cake for Jaslynn to celebrate her 3rd birthday. My very first cake at my new place though I didn't accept any other cake confirmations these two months but this was confirmed with Jaslynn's mom when I did her sister's Strawberry Shortcake months ago..... The small yellow house with red roof was carved from 6" square cake. Hi'W'. 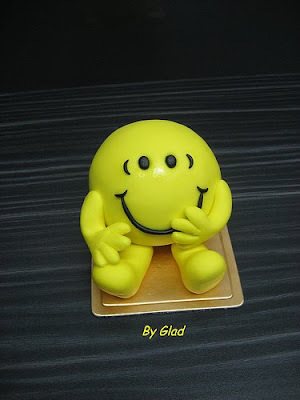 Thanks for your feedback vide email and glad to note that you all like the cake.